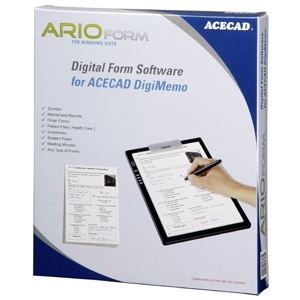 The Solidtek ACECAD ArioForm Digital Form Software is part of the DigiMemo series (digital notepad with memory) is an excellent solution for paper form applications, which need a paper copy of the form and digitally filed data. By processing the digital handwriting ink captured by the DigiMemo, and by performing ticks and handwriting recognition in the form software, the automation within the application removes the need to re-type handwritten data on paper forms. By using the DigiMemo and the form software, you can save time and money by automating the process. 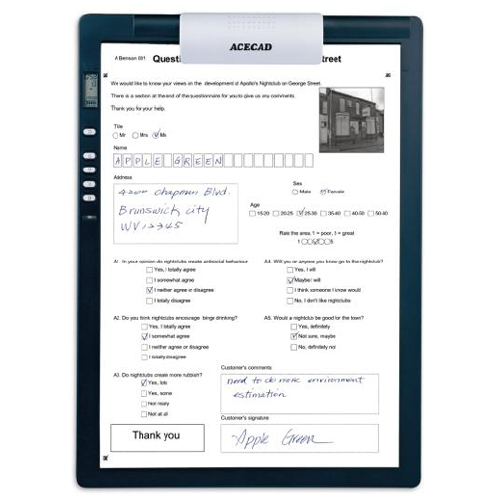 Using ArioForm, non-technical users can design and print their paper forms within minutes, then collect and process data, without relying on their IT department.